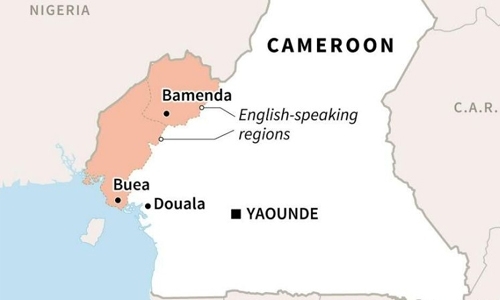 Four people died when gunmen raided a hospital and burnt it to the ground in western Cameroon where anglophone separatists have been fighting troops, witnesses and a local official said yesterday. The incident occurred in Kumba, a town which serves as the commercial hub for the anglophone region and which has been badly hit by the violence between separatists and Cameroon troops that began in October 2017. “Attackers killed four people and burnt down the hospital,” said an administrative official in the Kumba region, confirming information from a witness. It was not immediately clear whether the victims were shot or died in the fire, nor whether they were patients at the facility.